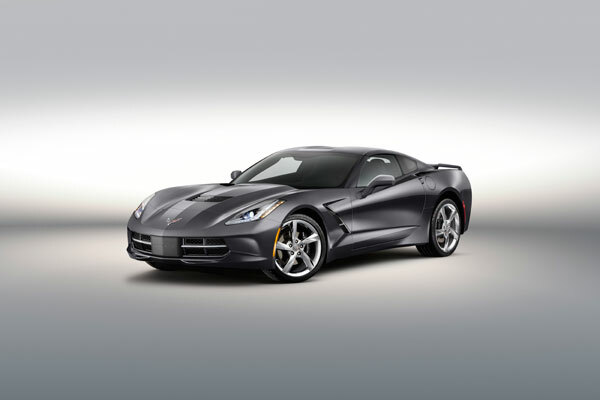 What has been coined as the Cyber Gray Metallic Chevrolet Corvette Stingray takes the allure of the redesigned 2014 Corvette and multiplies it by about 50. The iconic sports car has undergone what Exclusive Motoring calls a “stealth conversion,” which in addition to the metallic gray paint job, has converted all the chrome exterior trim to black. Badging and the exhaust pipes have also been blacked out, which gives the Cyber Gray Metallic Chevy Corvette Stingray a bold appearance that is unlike anything else on the road. Exclusive Motoring also outfitted its customized Corvette Stingray with a set of Forgiato Wheels. The two front f2.01’s measure 20 inches, while the rear wheels bump it up an inch to 21. The wheels flaunt a two-tone finish that show off the Stingray’s athletic stance, which is already bolstered by a lowered suspension. What do you think of the Cyber Gray Metallic Chevy Corvette Stingray? Don’t say we didn’t warn you about the depression?